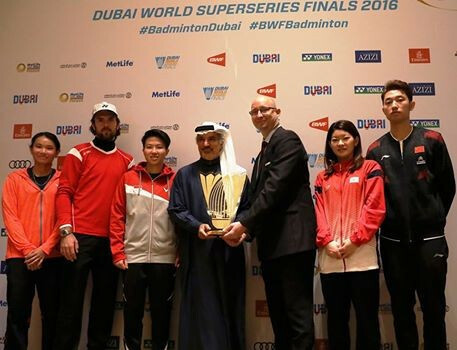 China’s Sun Yu overcame Olympic champion Carolina Marin in a dramatic women’s singles match on the first day of the Badminton World Federation (BWF) Dubai World Superseries Finals here today. Spain’s Carolina Marin will face India’s Pusarla Sindhu during the women’s singles group stage at the Badminton World Federation (BWF) Dubai World Superseries Finals, with the draw providing a rematch of the Rio 2016 Olympic gold medal game. 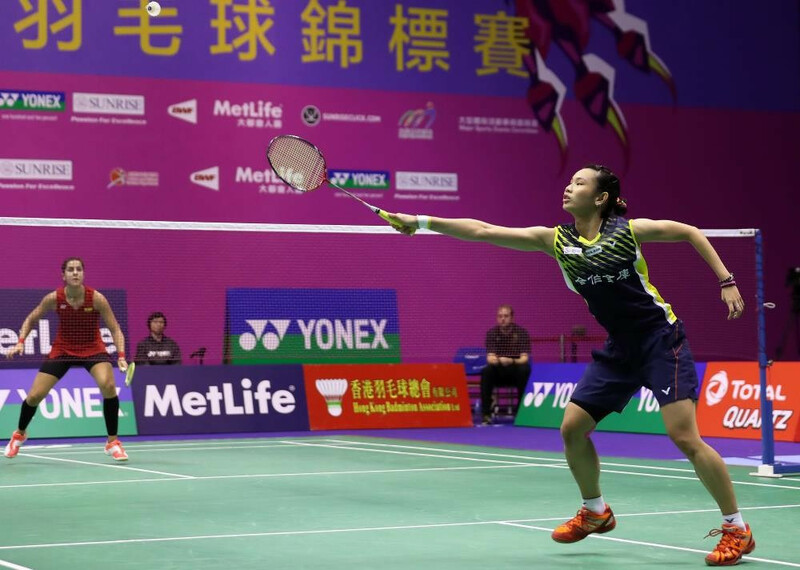 Tai Tzu-ying of Chinese Taipei stunned Olympic champion Carolina Marin as she battled to a three-game victory over the Spaniard to reach the women’s singles final at the Badminton World Federation (BWF) Hong Kong Superseries. Olympic champion Carolina Marin of Spain cruised into the semi-finals of the Badminton World Federation (BWF) Hong Kong Superseries as she swept aside Japan’s Akane Yamaguchi in straight games. Top seed Jan Ø Jørgensen of Denmark survived a scare as he fought back from a game down to beat home player Wei Nan to reach the next round of the Badminton World Federation (BWF) Hong Kong Superseries. Jan Ø Jørgensen moved into the second round of the Badminton World Federation (BWF) Hong Kong Superseries today as he bids to win back-to-back tournaments. Rio 2016 Olympic champion Carolina Marin will defend her Badminton World Federation (BWF) Hong Kong Open title this week as this year's tournament is due to begin tomorrow. Women's Olympic champion Carolina Marin was dumped out on quarter-finals day at the Badminton World Federation (BWF) China Superseries in Fuzhou. Spain's Olympic champion Carolina Marin successfully progressed to the quarter-finals of the Badminton World Federation (BWF) China Open Superseries tournament at the Haixia Olympic Sports Centre in Fuzhou today. Spain's Olympic champion Carolina Marín will face a player from the host nation in the first round of the Badminton World Federation (BWF) China Superseries after qualifying matches started the tournament at the Haixia Olympic Sports Center in Fuzhou today. All six Olympic medallists in singles will be in action at the Badminton World Federation (BWF) China Open Superseries, which will begin at the Haixia Olympic Sports Center in Fuzhou tomorrow. Men's and women's singles Olympic champions Chen Long of China and Carolina Marin of Spain are the only two medallists from the Olympic Games in Rio de Janeiro who will not take part in the Badminton World Federation (BWF) French Open, it has been announced after the entry list for the event was confirmed. Olympic and world champion Carolina Marin was eliminated from the Yonex Denmark Open today after losing her semi-final clash with eighth seed Akane Yamaguchi of Japan at the Arena Fyn in Odense. Top seed Lee Chong Wei eased into the quarter-finals of the Yonex Denmark Open today after registering a straight-sets victory over India’s Prannoy Kumar at the Arena Fyn in Odense. Olympic and world champion Carolina Marin recovered from match point down against home favourite Julie Dawall Jakobsen to book her place in the second round of the Yonex Denmark Open at the Arena Fyn in Odense today.